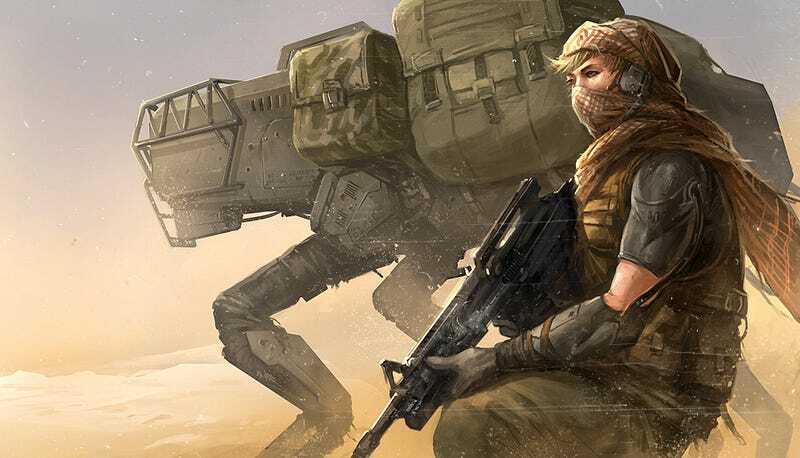 This week's writing prompt comes from five minutes into the future, when soldiers go into the field with quadruped robots. What kind of story will you tell about this pair? A Boy and His Dog is by one of our favorite concept artists, Sandara. If you dig Sandara's artwork, you can buy her products through Society6 or Zazzle. BigDog, on the other hand, is the creation of Boston Dynamics. As always, we invite you to come up with a story inspired by this image and post it in the comments.